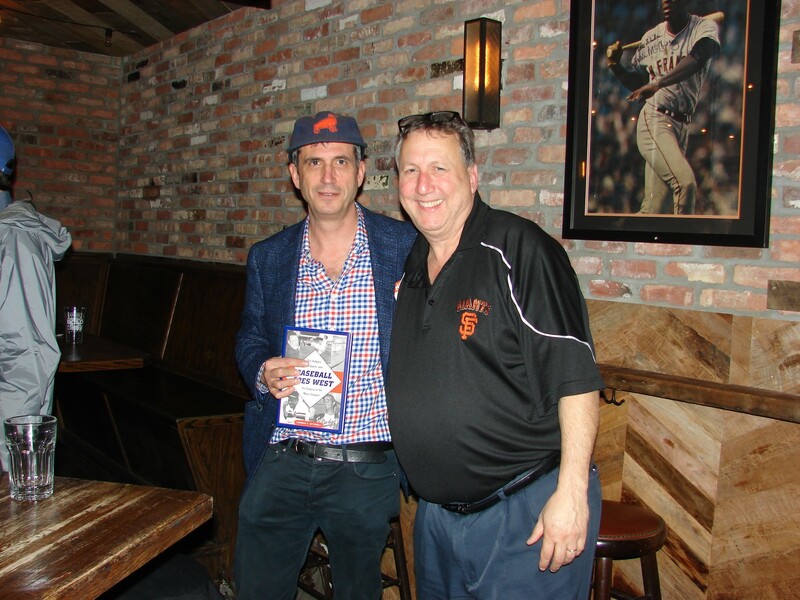 Before a packed “Keg Room” at Finnerty’s, author Lincoln Mitchell discussed his new book “Baseball Goes West” last night before an enthusiastic crowd of baseball fans. Lincoln spoke for about an hour, signed many books, and held a Q&A. Lincoln spoke about the Dodgers and Giants but predominantly the Giants as that’s what the crowd came for. We can’t thank him enough for a terrific evening. This was the NYGPS first meeting at hopefully our new “home”, Finnerty’s. Owners Dieter and Brian were so delightful to deal with as was their party planner, Annie. 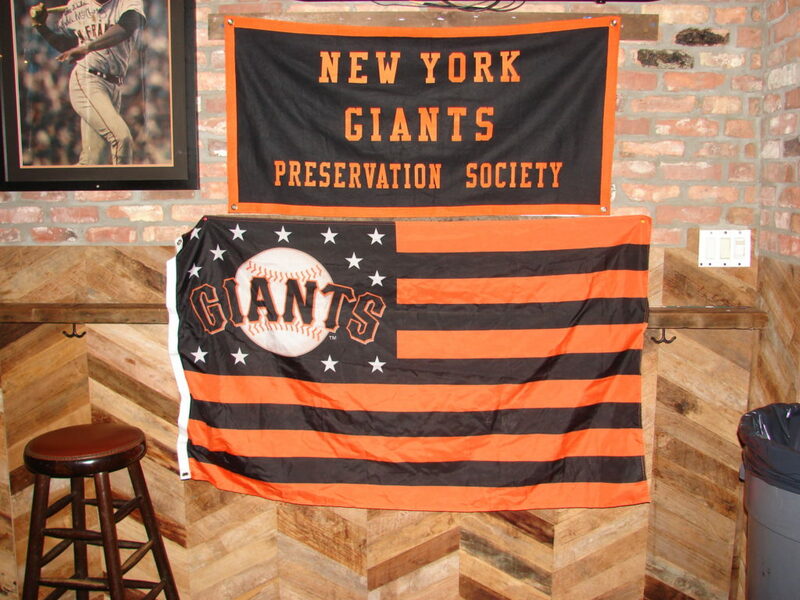 This downtown bar oozed Giants baseball and we hope to attract some younger SF Giants fans in the future as they should know that their team had a glorious past, 3,000 miles away, and more than 60 years ago. 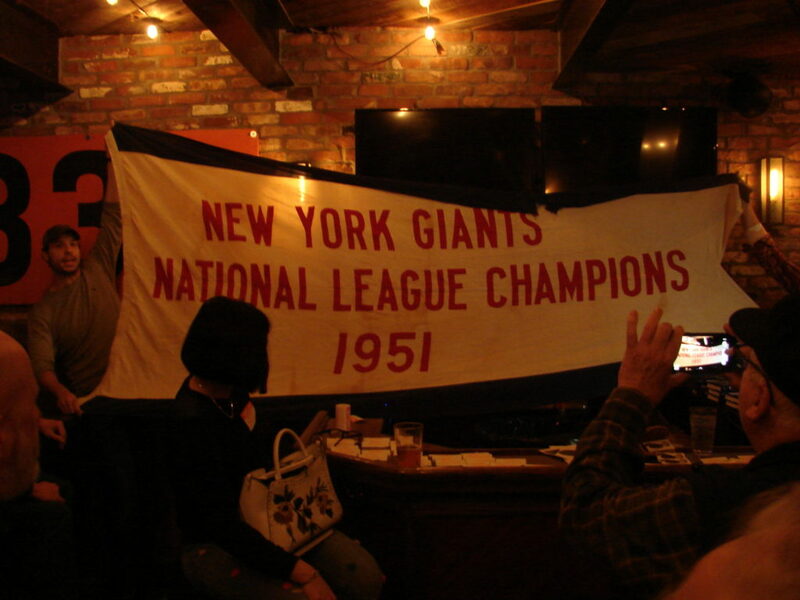 Dieter and Brian surprised the crowd by pulling out the original NY Giants Pennant from 1951 that flew at the Polo Grounds! Un believable and in great shape for a piece of material that is almost 70 years old. Thanks to all those who attended and we hope to see many more at our next event.